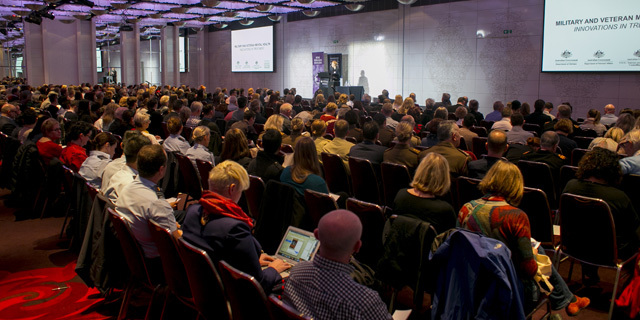 A practitioner forum, Military and Veteran Mental Health: Innovations in Treatment, was held in July, hosted by the Centenary of Anzac Centre, an Initiative of Phoenix Australia – Centre for Posttraumatic Mental Health (Department of Psychiatry). The forum was attended by 400 delegates working in military and veteran mental health and delivered an engaging, challenging, and inspiring two days to those with a shared passion for improving mental health care. The theme of the forum was innovation, with a focus on what is new, exciting, and challenging in research, treatment, and service delivery. The forum also enabled a showcasing of the Centenary of Anzac Centre offerings. The Minister for Veterans' Affairs, the Hon Darren Chester MP, launched the Practitioner Support Service, a free service which provides expert guidance and support for practitioners working with veterans with mental health issues, including those in rural and remote areas. The Minister commended Phoenix Australia for engagement in long-term work in researching improved treatments for, and recovery from, posttraumatic mental health problems. Two masterclasses were presented on the first day by internationally renowned specialists in military and veteran mental health. Professor Barbara Rothbaum (Emory University, US) is a pioneer in Prolonged Exposure Therapy, and her masterclass guided delegates through the application of this established evidence-based intervention for the treatment of posttraumatic stress disorder (PTSD). She also generated great interest in her use of virtual reality for the treatment of PTSD. The second master class was presented by Professor Marylène Cloitre (Stanford University, US). Her extensive research and clinical work has focused on PTSD and complex PTSD in military veterans. Professor Cloitre developed Skills Training in Interpersonal and Affective Regulation (STAIR) therapy, and her masterclass was a practical demonstration of this effective skills-focused intervention. 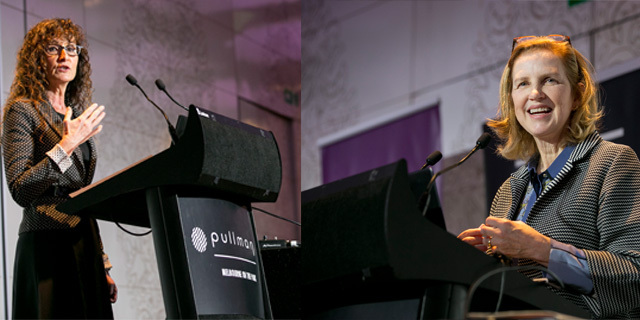 Day two of the forum included keynote addresses from Professors Rothbaum and Cloitre, followed by multiple symposia showcasing innovations in military and veteran mental health in Australia. The two keynote speakers and presenting academics, experts, agency heads, and practitioners, including senior staff from Phoenix Australia, discussed the challenges of effectively treating the military and veteran population. Professor Rothbaum discussed the potential for the use of biomarkers which may identify differential outcomes in PTSD. Professor Cloitre similarly questioned how to identify the most appropriate treatment for any one person, observing PTSD treatments tend not to be discrete, and a modular approach by which one problem is addressed at a time is a possible future direction. Several presenters highlighted barriers to the implementation of evidence-based interventions, such as the lack of uptake of interventions by practitioners, and suggested solutions to this such as the importance of ongoing supervision following training in new treatments. The proceedings also highlighted in recent years little progress has occurred in the development of medication treatments for PTSD. The emerging importance of treatment enhancement strategies was emphasised throughout the symposia. Proposed adjunctive treatments ranged from biological treatments to emerging interventions focusing on exercise and yoga. Some preliminary evidence presented Theta Burst Stimulation may be an effective treatment for PTSD in reducing clinical symptoms and improving cognition. The take home message was the importance of substantive evidence for new and innovative biological treatments before they are promoted and utilised in clinical practice. The Centenary of Anzac Centre will play a key role in the field through the integrated work of its two components. The Treatment Research Collaboration will enable Phoenix Australia to collaborate with partners in conducting innovative research into PTSD and other complex mental health issues. The Practitioner Support Service will support a range of practitioners and organisations across Australia, especially those in remote and rural areas where there are fewer professional supports. It will facilitate professional development and networking opportunities across Australia for those supporting veterans. The forum was a great opportunity for delegates​ to discuss established evidence-based and newer interventions under development and how to "close the gap" in terms of people who are not recovering. For practitioners and researchers alike, the forum provided a fantastic opportunity for networking and strengthening the military and veteran healthcare community. Fundamentally, we work better towards improved mental health when we do so as part of a community. Videos of the Day 2 presentations can be viewed on the Centenary of Anzac Centre website, www.anzaccentre.org.au/2018forum/.